If you start searching for the perfect diet to suit your goals, you will come across endless different diets or stories. 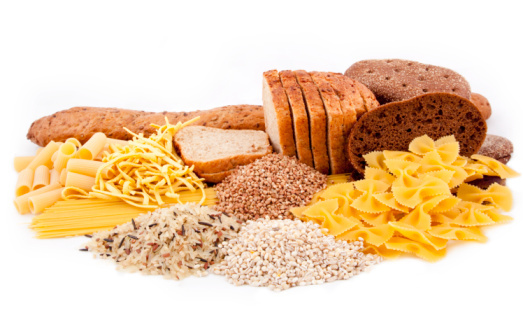 Should you eat carbs or avoid them completely? You want to burn fat but without risking muscle loss at the same time but is that possible? Low carb diets help you lose weight at first, but they slow down your metabolism and this has negative consequences on your daily potential for caloric expenditure. 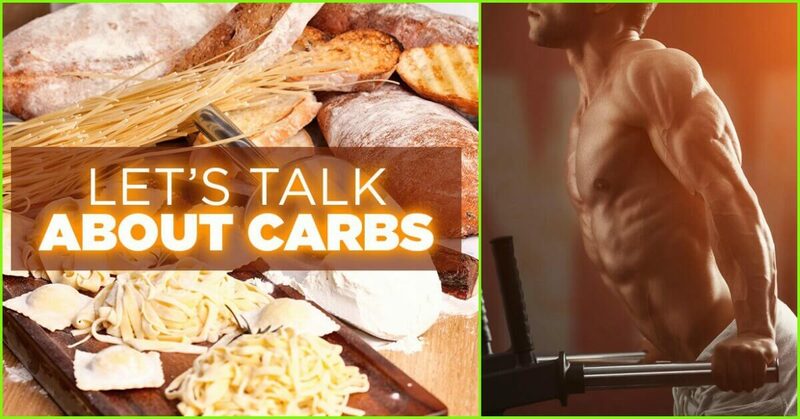 When you eat a lot of carbs, you will gain mass but you can also increase stored body fat. If you want to keep the amount of body fat low and build muscle at the same time, what should you do? It appears carbs are the worst problem for all fitness people. Carb cycling can combat this. 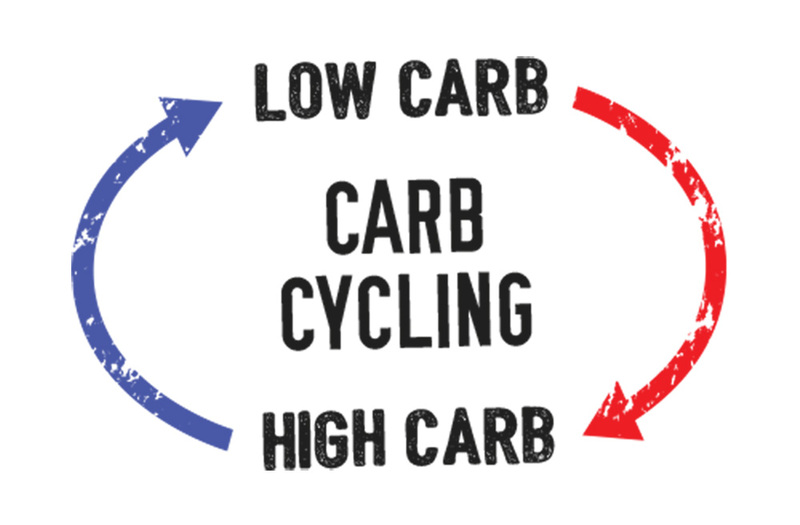 Carb cycling is a diet plan which consists of alternating between periods of low or no carbohydrate intake, to periods of moderate to high carbohydrate intake. Whilst optimising your fat loss results, you will also be maintaining or even improving your strength and energy levels, whilst maintaining or building lean muscle mass simultaneously. The diet works by providing your body with vital fuel and energy that it needs in order to increase your metabolism, whilst putting your body into a calorie deficit at the same time. This leads to optimal fat loss. The days will be rotated between low or moderate carb days and high or moderate carb days. In some instances, even no carb days. The days can be cycled and rotated, have more low or moderate days than high days. How many carbohydrates, fats and proteins should I be consuming each day? This all depends on your actual body weight. You will consume around 2 – 2.5 grams of carbohydrate for every pound that you weigh. If you weighed 200lbs, you would consume between 400 and 500 grams of carbohydrates. You should consume between 1 and 1.5 grams of protein per pound of body weight and 0.15 grams of healthy fats per pound of body weight. On moderate carb days, consume around 1 – 1.2 grams of carbohydrates for every pound that you weigh. Your protein intake should remain the same at between 1 and 1.5 grams per pound of body weight and your healthy fat intake should be 0.2 grams per pound. On low carb days you should consume around 0.5 grams of carbs per pound of body weight. The difference on low carb days is that your protein intake should increase slightly up to 1.5 to 1.6 grams of protein per pound of body weight. Your healthy fat intake will also increase to 0.35 grams per pound. The title is misleading as you still consume carbohydrates but only very few indeed, at around 30 grams of carbohydrates per day and those should come from fresh vegetables. Protein intake remains at 1.5 to 1.6 grams per pound of body weight, and your healthy fat intake will increase up to 0.5 – 0.8 grams per pound of body weight. How does this help to build or maintain muscle? The reason this diet differs from other diets that rely on carbohydrate manipulation, is that the high or moderate carb days are important for the muscles as it helps to pump them full of glycogen. Carbohydrates help the body hormonally for muscle growth as they ensure the release of insulin within the body. When we consume carbohydrates, which are then broken down into sugars to be used as energy, the pancreas secretes insulin to control and regulate blood sugar levels. Insulin helps protein and carbohydrates into the cells within the muscles, speeding up growth and repair and also making them more efficient during exercise. Too many carbohydrates being consumed on a regular basis, means they will readily be broken down and converted in fat, the body then stockpiles as energy to be used as fuel at a later date.